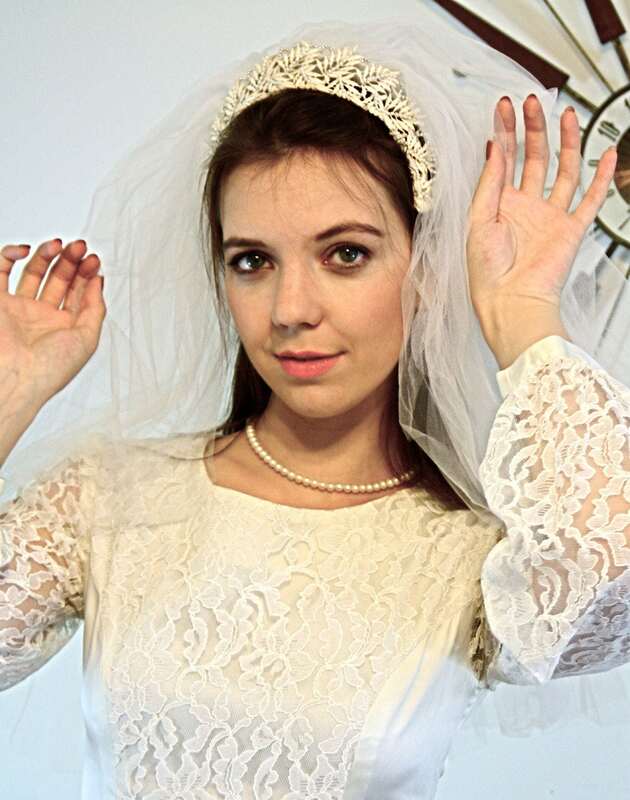 I just love this vintage double layer wedding veil from the 1960s! 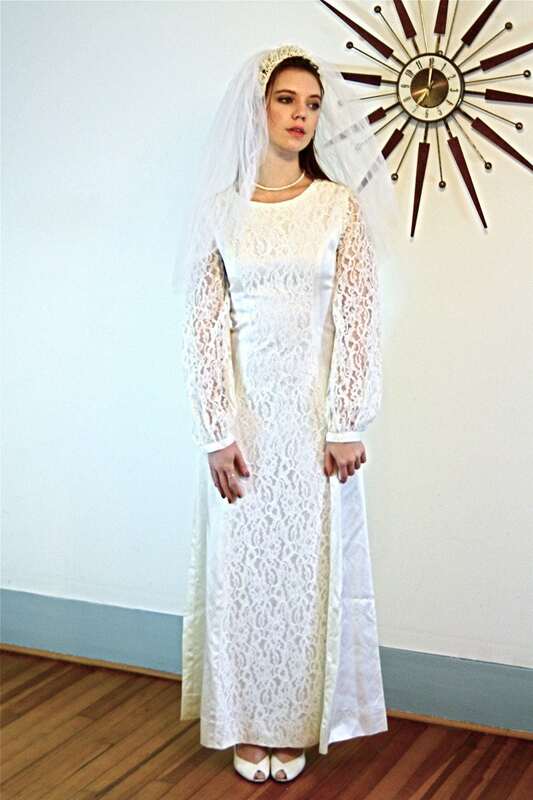 So MAD MEN Bridal! 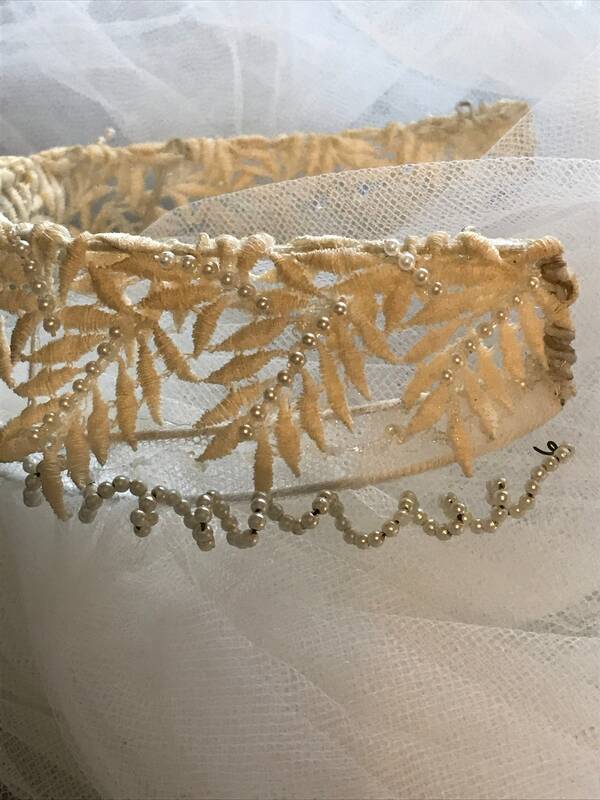 This lovely double tulle blusher veil has a lovely lace headband with seed pearl beading. 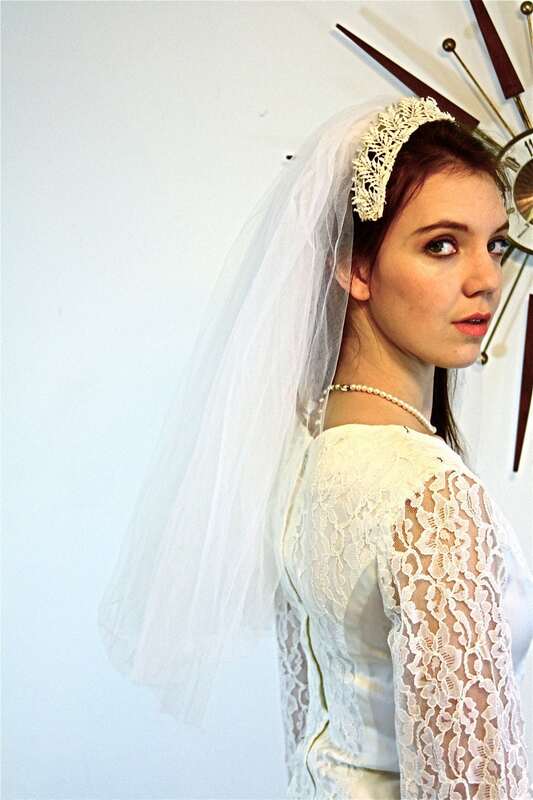 This lovely retro 60s veil falls below the shoulders, but can be cut to your Ideal length! 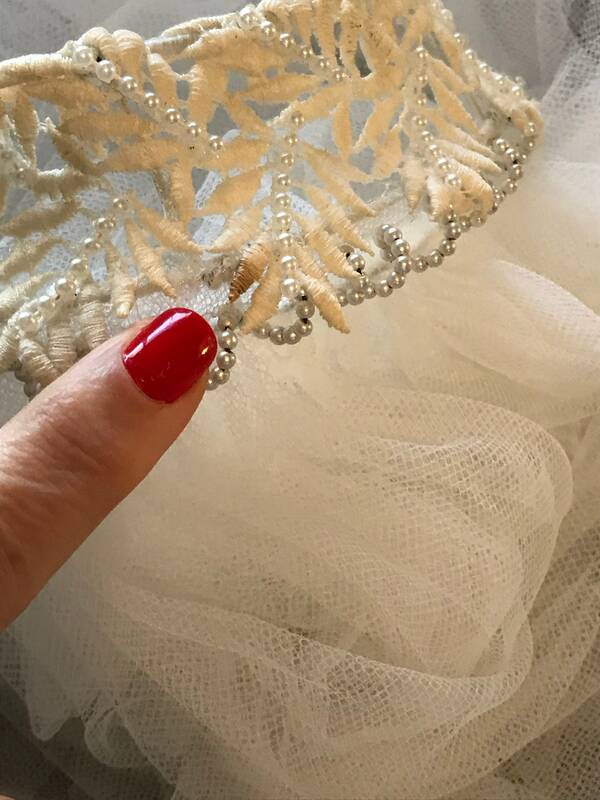 Lace is fully intact. 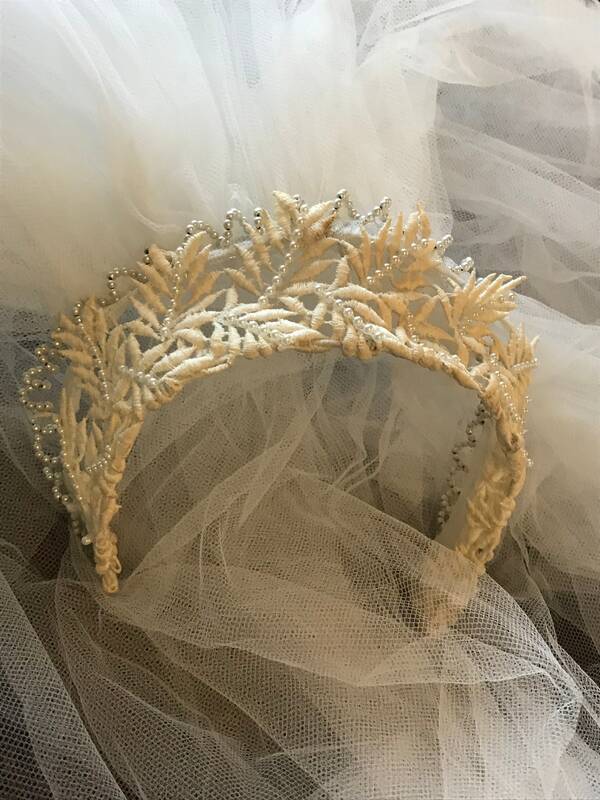 There is some yellowing on the floral lace headpiece, and one tip of the lace has browned. Also the spiral beading will need to be tacked down on one side. 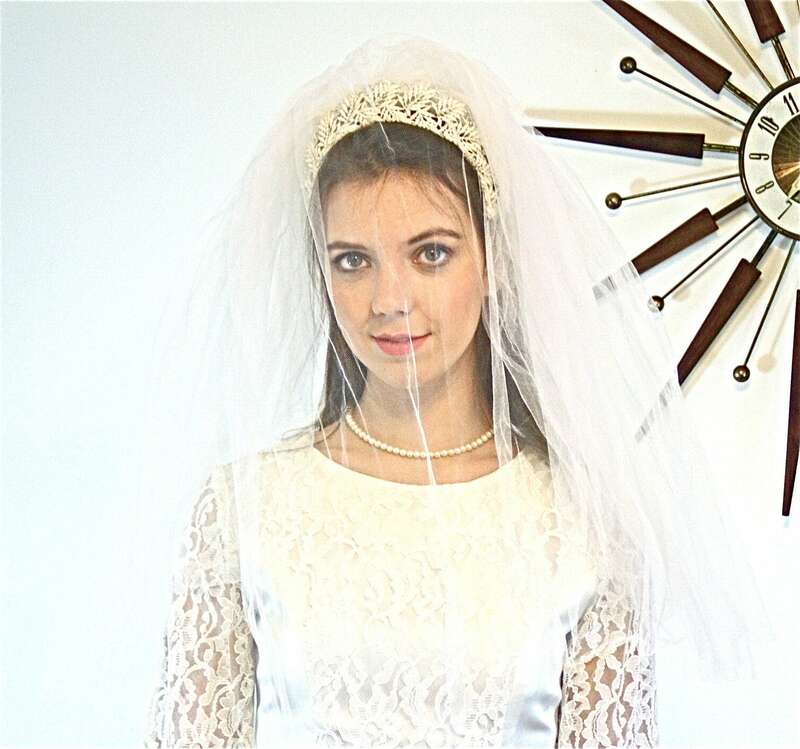 Vintage 60s Veil, 60s Wedding Veil, MAD MEN fashion, White Tulle veil, Double Net veil, lace flower veil, Head Band veil, 1960s Floral veil, Bridal Veil, medium length veil.